December brings us the holidays and executive chef Vincent Canzeri wants to give you a taste of the surf and the turf. 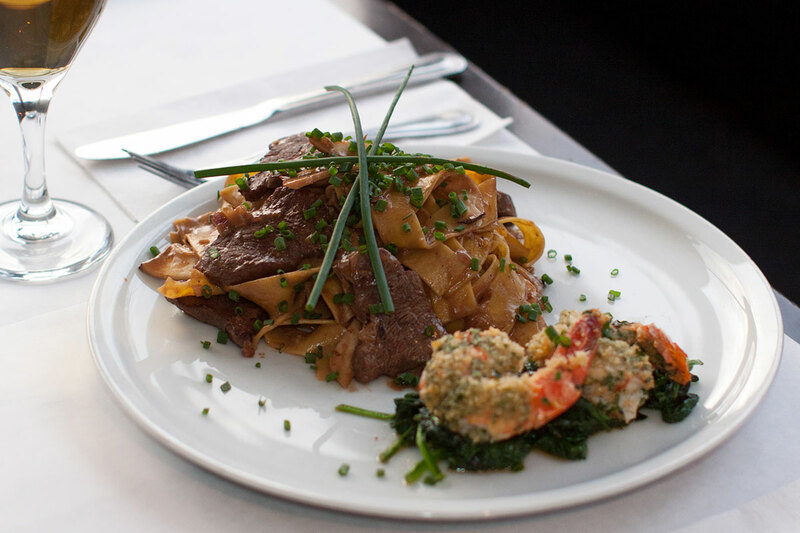 Your mouth will water with the tender AAA filet mignon accompanied by King Oyster mushrooms and portobello mushrooms covered in a creamy demi-glace sauce on a Papardelle egg noodle nest. As if that wasn’t enough…the feast is completed with jumbo garlic shrimps on a bed of fresh garlic spinach.